As if Rogue One wasn't enough of a Christmas gift to Star Wars fans, there's a new viral tune that will be sure to put a smile on any wookie lover's face. 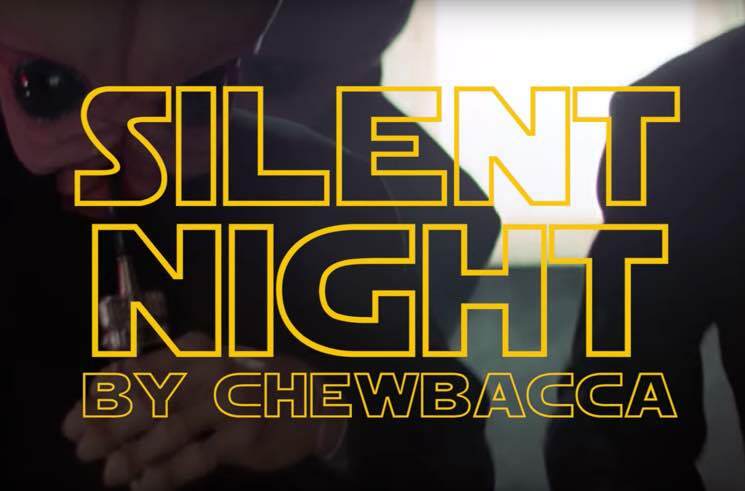 Some diligent YouTubers have manipulated Han Solo's right-hand man Chewbacca into an angelic caroller, splicing together scenes to make the furry friend sing "Silent Night." HISHE and James Covenant are responsible for the hilarious and heart-warming clip, though they credit the original idea to Scott Andersen back in 1999. Brush up on your Shyriiwook and give Chewie's festive offering a look and a listen down below.